Full resolution LROC NAC M155084711R showing the northeastern wall and floor of Arago E crater. The floor is peppered with rocks that tumbled down the crater wall. In this image North is up, image width is ~0.5 miles (800 m) [NASA/GSFC/Arizona State University]. LROC NAC M1152277932L showing the upper southeastern portion of the rim of Piazzi H crater which has a diameter of 5 miles (8 km). The width of this image is ~0.5 miles (800 m) and North is up [NASA/GSFC/Arizona State University]. 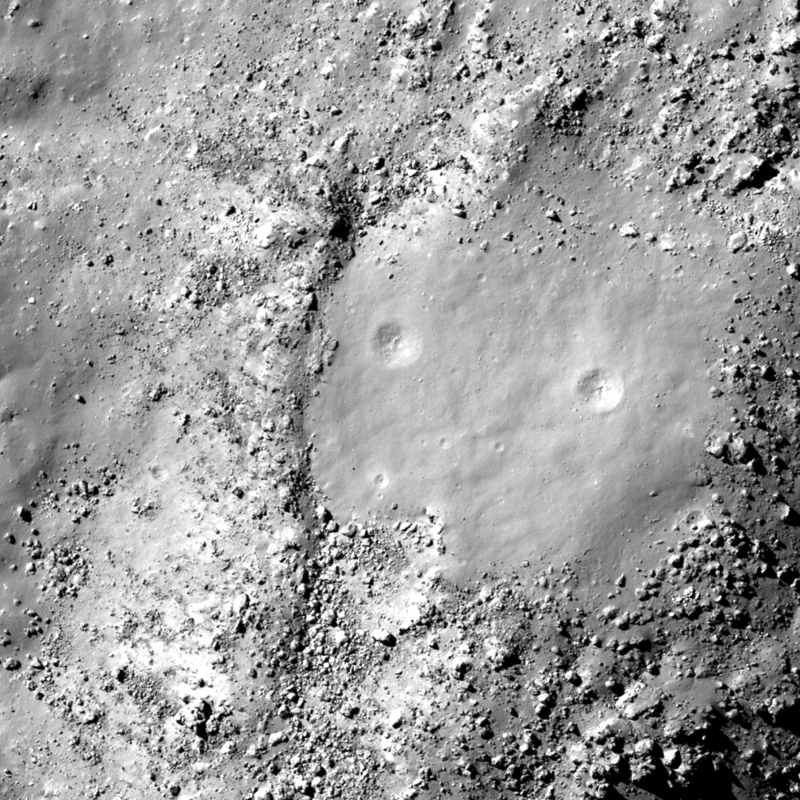 LROC NAC M1144856403R of a mound littered with boulders located within the floor of Tycho crater. The small clearing, which lacks boulders, is most likely squeezed up impact melt. Image width is ~2400 ft (730 m) and North points up [NASA/GSFC/Arizona State University]. 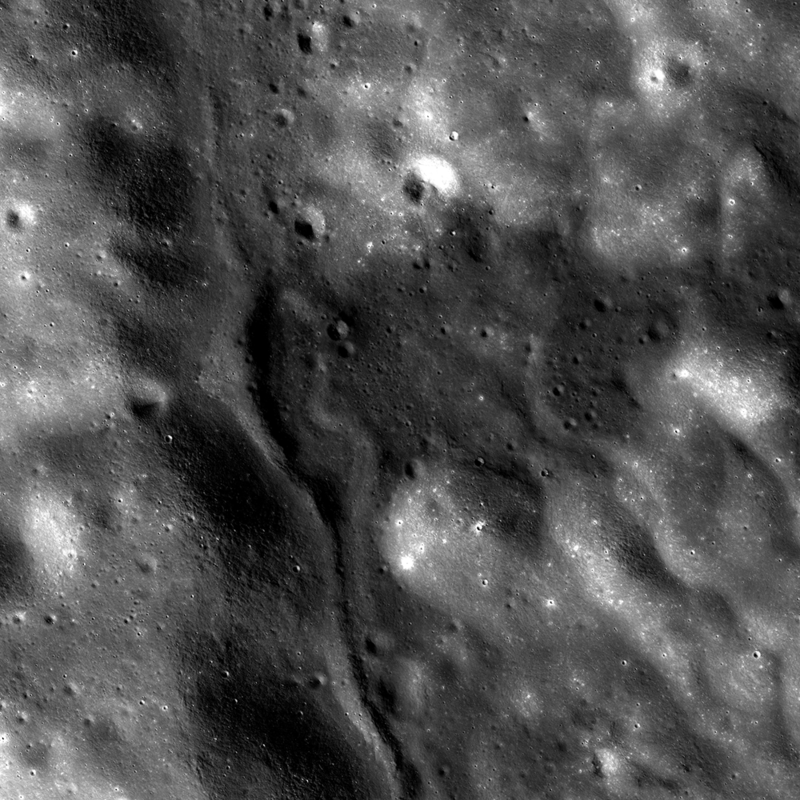 Irregular depression at the head of a floor fracture skirting the western floor of Lavoisier crater. 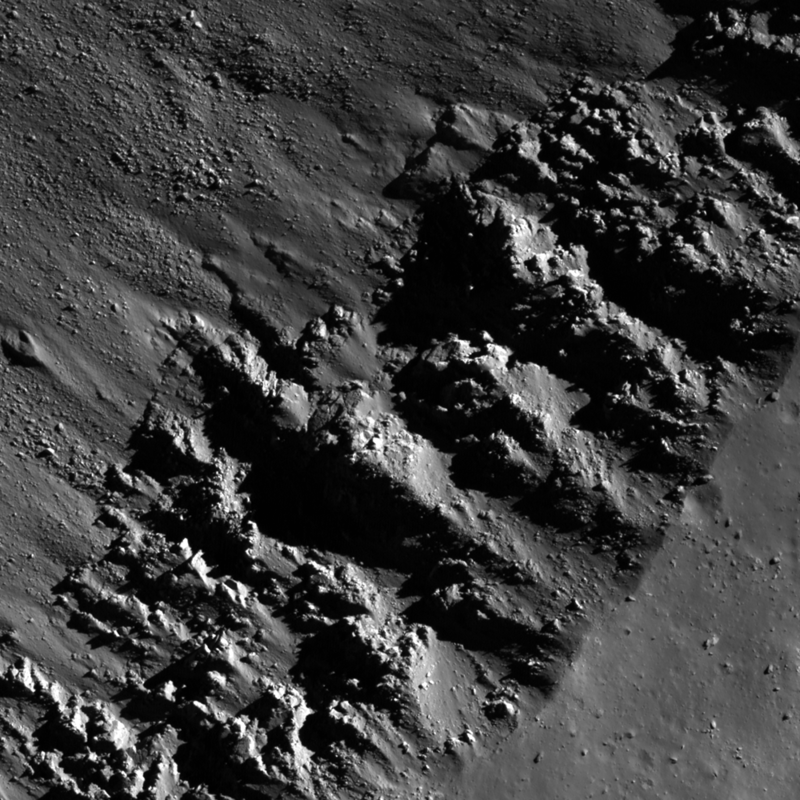 Low reflectance material, thought to be pyroclastics, appears to have flowed East into nearby parts of the crater floor. 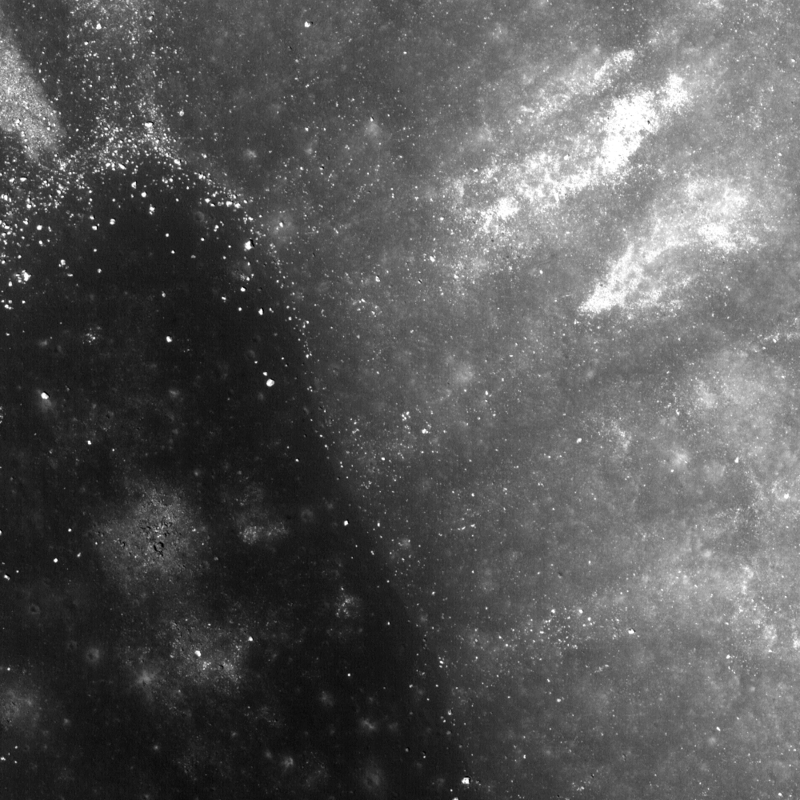 LROC NAC mosaic M105055584LR, image width is ~15 km (9 miles), North is up [NASA/GSFC/Arizona State University].